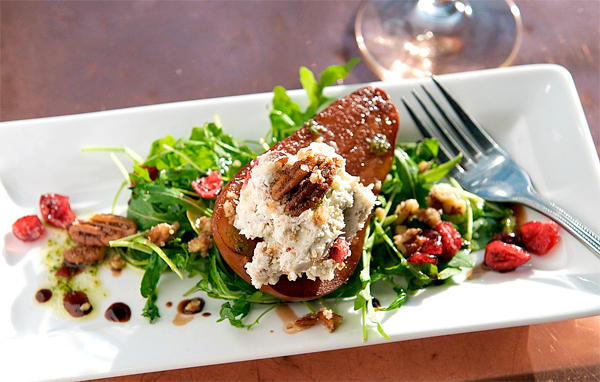 The variety and quality of the Maine dining scene is no longer a secret the natives can keep. Attention from The New York Times, Gourmet magazine and the Washington Post has shined a national spotlight on what Mainers have known for a long time: there are some truly excellent restaurants in the 207. Photographer Russell French and author Michael Sanders know this as well. The former is a Maine-based artist renowned for his images of food and those who make food. The latter is a 20-year resident of Maine, a food writer and a founding member of Slow Food Portland, an organization devoted to promoting the eating of locally grown foods. Together, they’ve produced a new cookbook, “Fresh From Maine: Recipes and Stories From the State’s Best Chefs,” out on Sept. 1 through Maine-based publisher Table Arts Media. Sanders, who has written extensively about the cuisine and culture of Southwest France, knew it was time to write a book such as this after the media buzz of the past few years regarding Portland’s large and eclectic restaurant scene. Sanders and French spent months traveling up and down the Maine coast, sampling restaurants to be included in the book, which features 20 spots from Kittery to Mount Desert Island. They range from the all-local farm-to-table restaurant Cinque Terre in Portland, featuring chef Lee Skawinski, to Bar Harbor’s own Mache Bistro, a tiny, delightful place owned by the husband and wife team of Kyle and Marie Yarborough. They had one big question in mind: just what is it that makes Maines food scene so vibrant? They found several answers. With that framework in place, it just took time for those chefs to arrive in the state. As anyone familiar with the restaurant industry knows, however, opening a restaurant is certainly not an “if you build it, they will come” situation. There needs to be a clientele interested in eating at places that don’t just serve up the fried clams, lobster and blueberry pie synonymous with so many roadside family establishments. Fortunately, there was that clientele, who were waiting for an alternative to traditional Maine fare. The restaurants featured in “Fresh From Maine” are not places where you’ll spend $100 for a gastronomically experimental meal, featuring ingredients flown in from halfway across the world. Instead, they’re places that focus on food that’s fresh, local, organic and of the absolute highest quality — all the while remaining simple in approach. The book boasts more than 50 recipes, ranging from the luscious Stout and Chili Braised Short Ribs over Parmesan Polenta from the Harraseeket Inn in Freeport, to the elegant Cod with Sauteed Kale, Bacon and Triple Citrus Beurre Blanc found at the Red Sky Restaurant in Southwest Harbor. It’s also got a wealth of fun, informative background information on the chefs who create those dishes, and the concepts behind their restaurants. French’s pictures illustrate the chefs in their natural environment: cooking, laughing, creating. It paints a picture of the combination of laid-back charm and high-end food that is the hallmark of Maine dining. 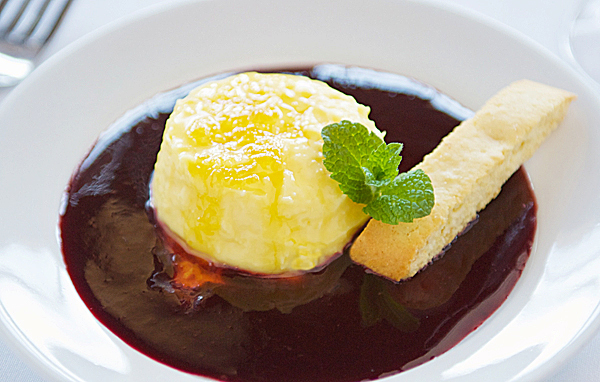 And, it sets stomachs to growling, as when you look at, say, the picture of the Handmade Rustic Gnocchi with Winter Sauce found at Town Hill Bistro on MDI, or the Pumpkin Caramel Flan from El Camino Cantina in Brunswick. Though “Fresh From Maine” has barely hit shelves, Sanders is looking forward to a sequel of sorts. 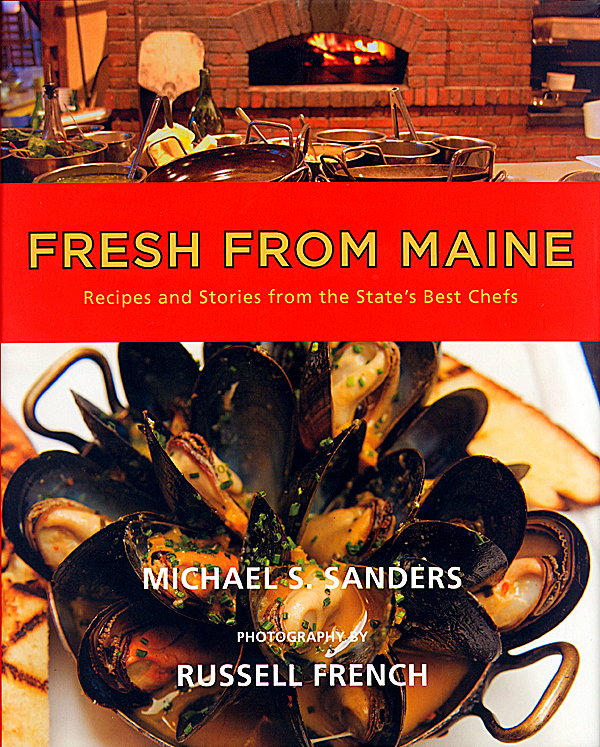 “Fresh From Maine: Recipes and Stories From the State’s Best Chefs” is available at your local bookstore and on Amazon.com For more information, visit tableartsmedia.com.